P386 - P2R MAF Flange - Pann Auto Performance - San Diego largest aftermarket automotive performance parts - What do you drive? Fits Most Honda / Acura MAF Sensors. P2R Mass Air Flow Sensor Flange is made to fit most Honda / Acura MAF sensors. 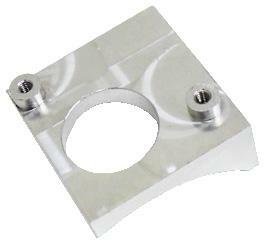 This aluminum flange has a radius to sit perfectly on a 3 inch pipe to make for easy welding.